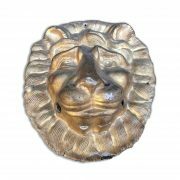 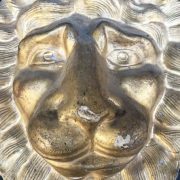 Pair of 19th century Italian gilded lion head papier-mache masks, a pair of antique furniture ornamental elements. 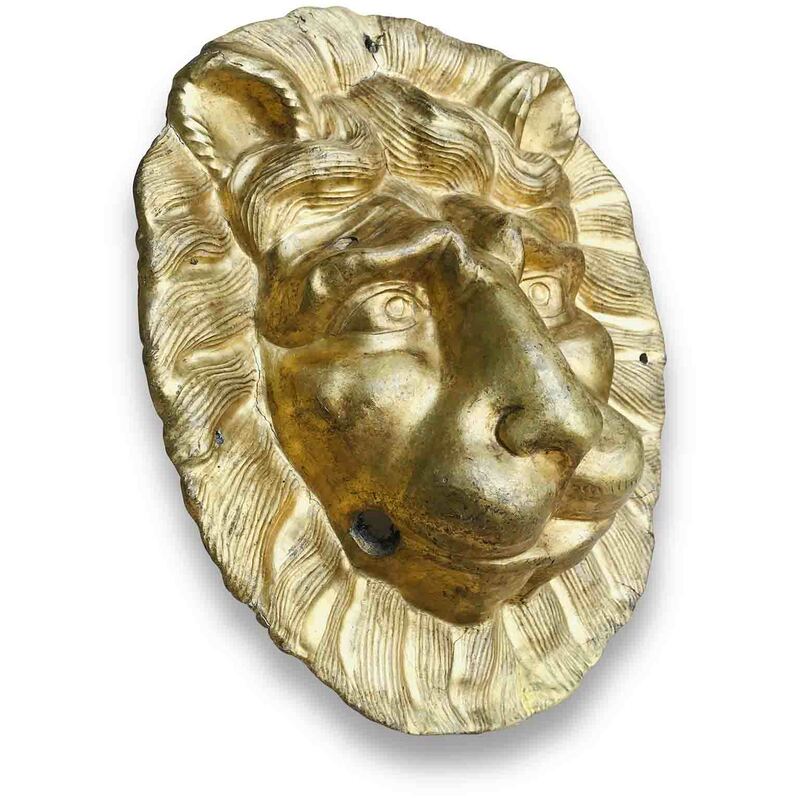 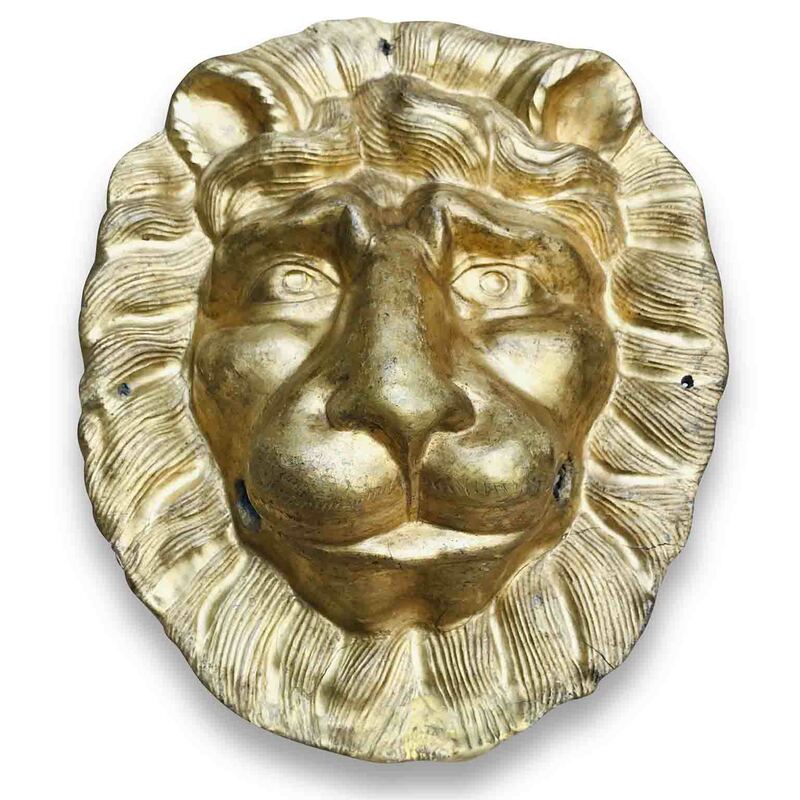 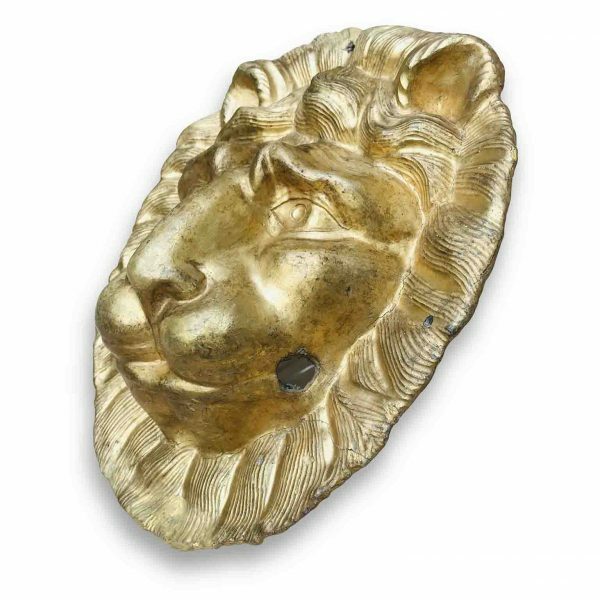 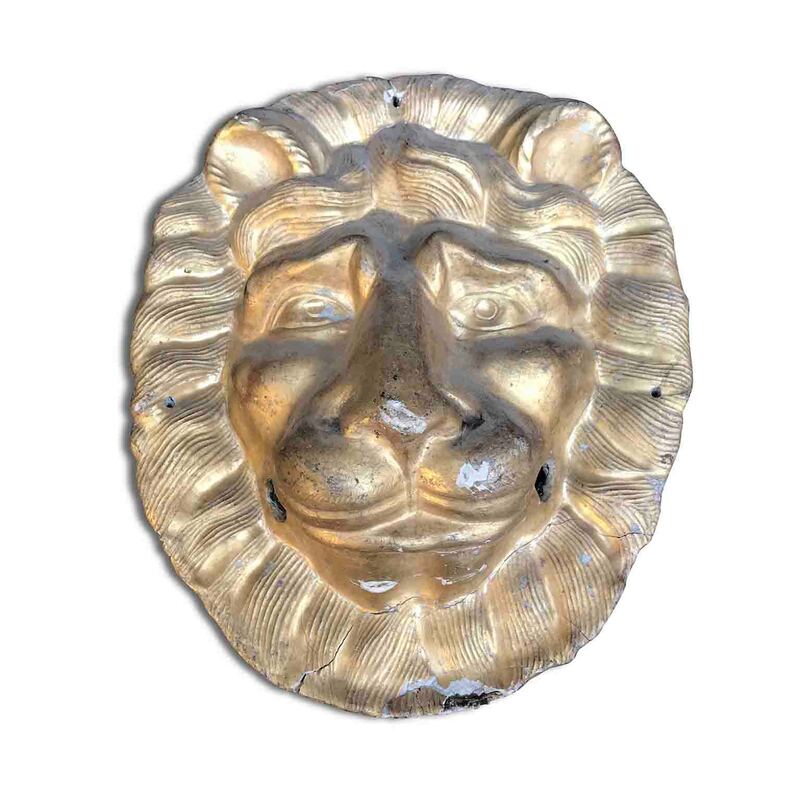 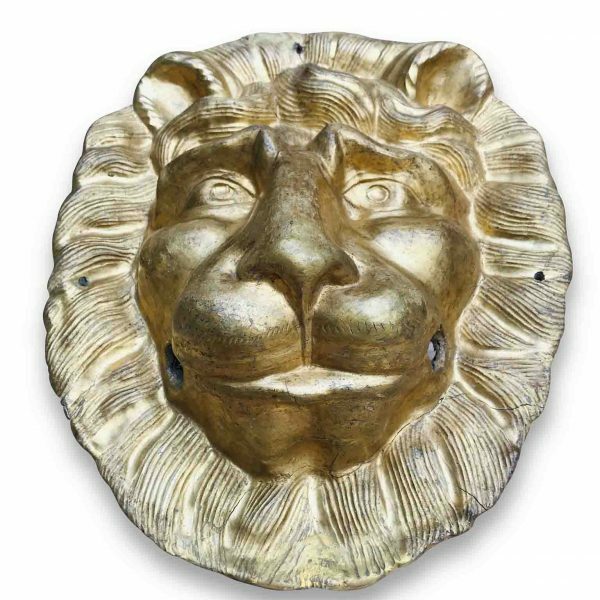 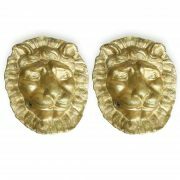 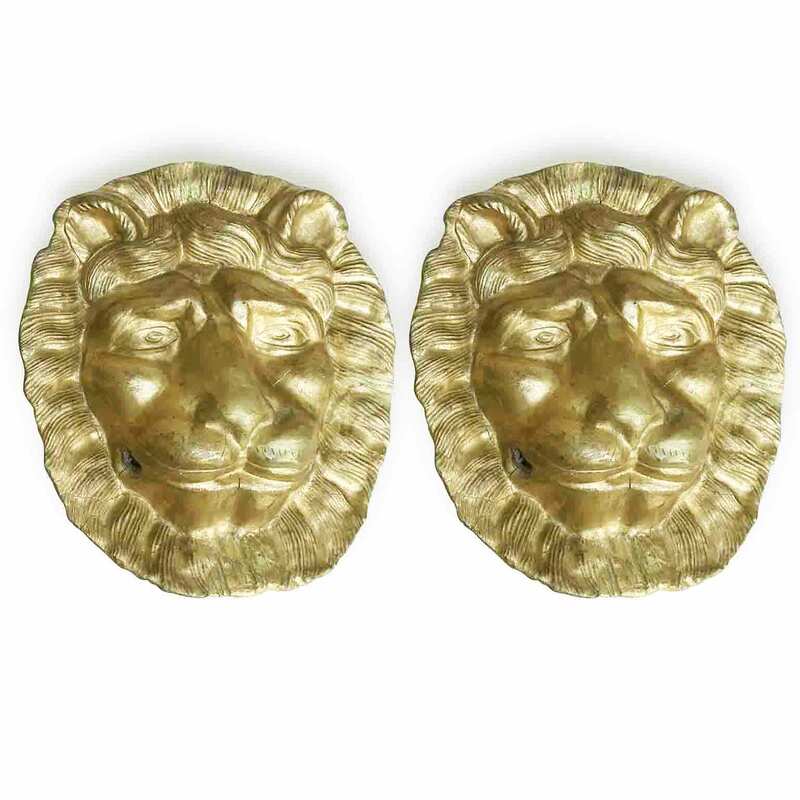 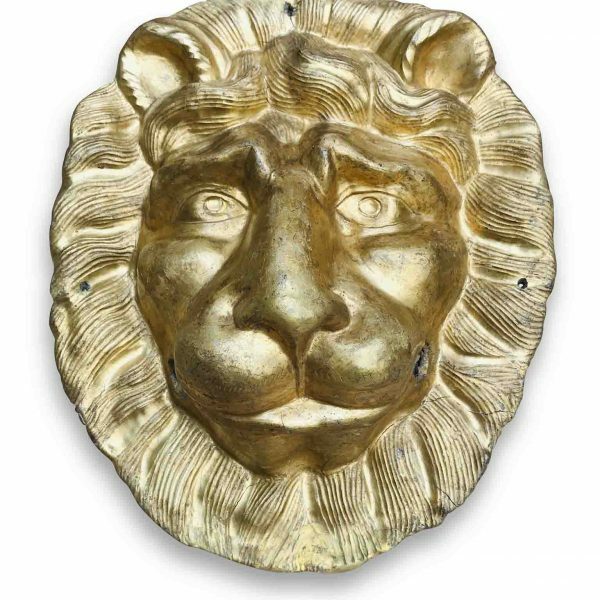 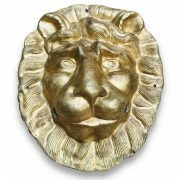 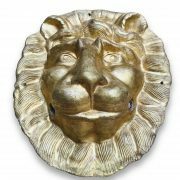 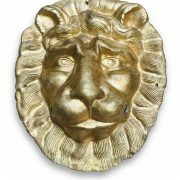 This pair of antique gilded sculptures, handcrafted in papier maché, depicting two heads of lions are inspired to the masks of ancient Baroque Italian portals, with the side holes for the rings of handles. 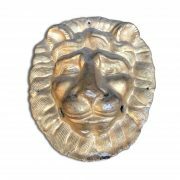 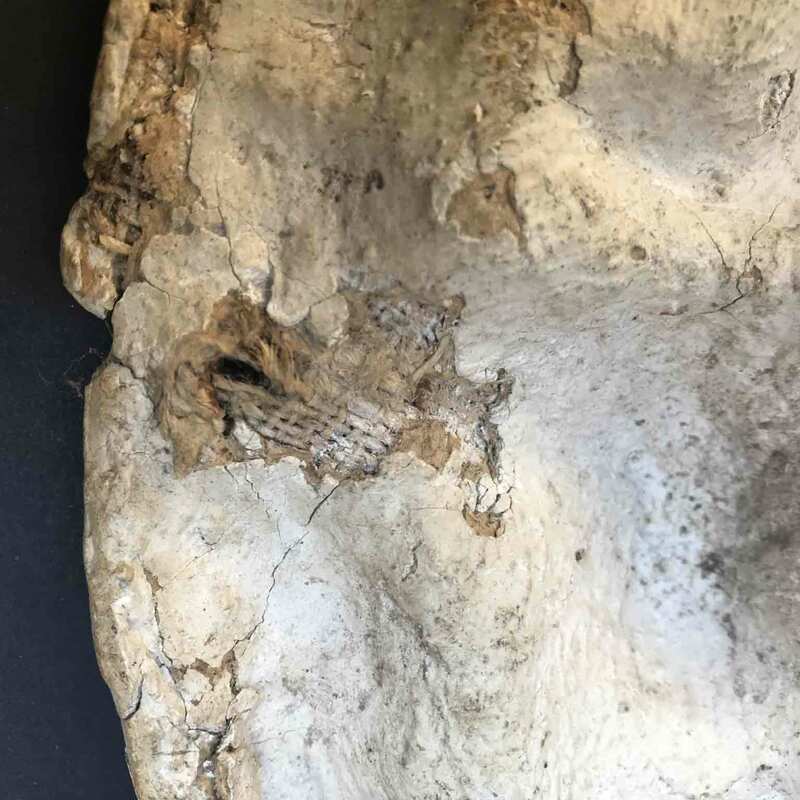 They come from Tuscany, from a private house, where they were hanging on the wall as friezes, as decorative elements, thanks to the holes in the upper part of the masks. Obviously their original function could not have been door knobs, due to papier-mâché material; they were probably realized as decorative pieces of furniture. 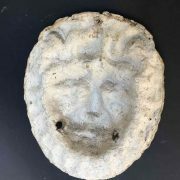 Good age related condition, oval shaped, they are realized on a gesso treated rough canvas, see listed closed up detail. 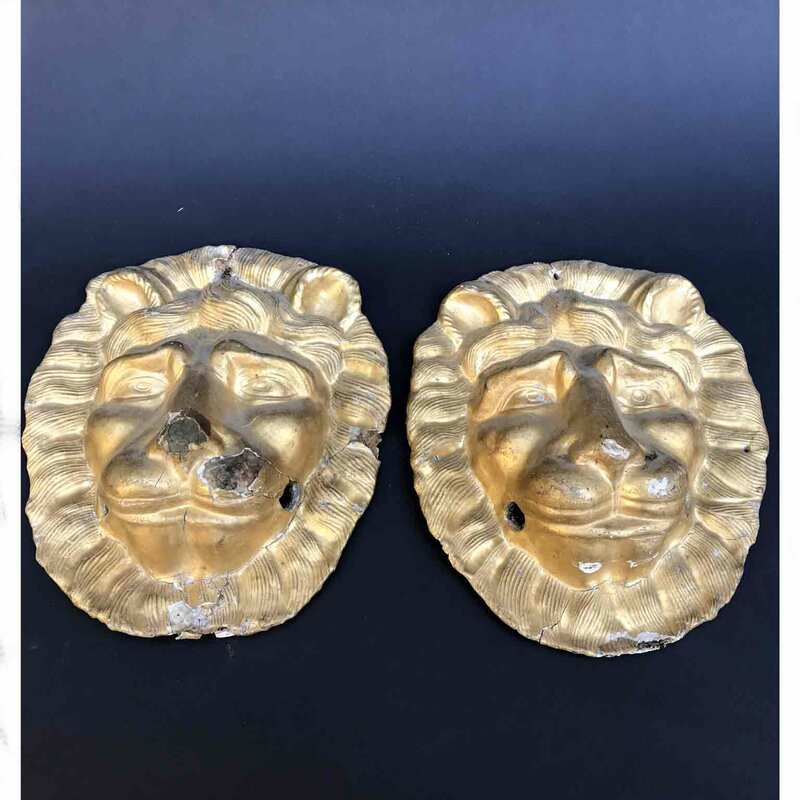 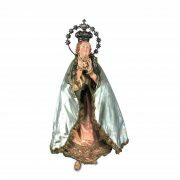 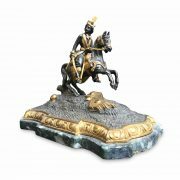 Material and gold leaf is original of the period, thus shows normal signs of age and use, they both show some restorations and are in good condition.